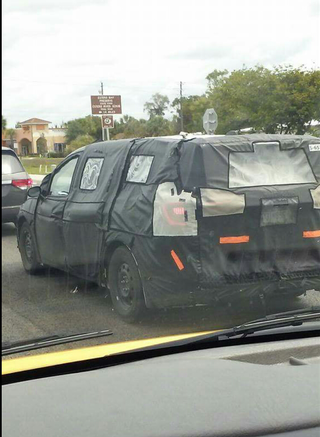 Is this the next gen Grand Caravan? Spotted this here in SW Florida. Had Michigan manufacturer tags. Tail lights look Dodge like to me and I think it’s got a sliding door. Im impressed this whole thing was extremely camo-ed.